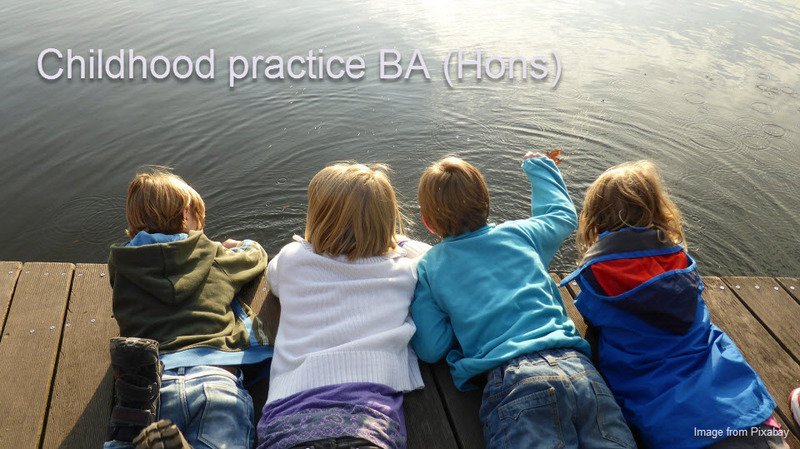 Find out more about Childhood Practice BA (Hons) at the University of the Highlands and Islands. 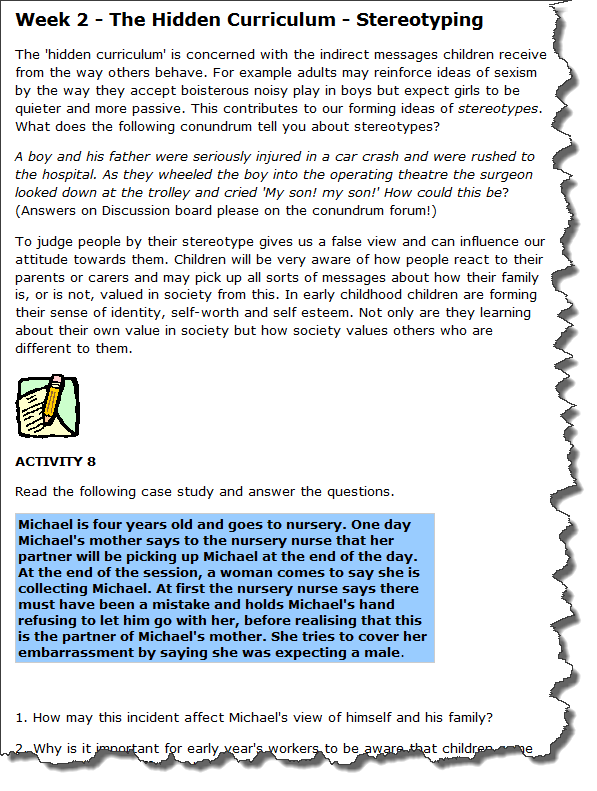 Demonstrate an understanding of early childhood philosophy. Identify and investigate both historical and contemporary perspectives that have influenced the development of early childhood philosophy. 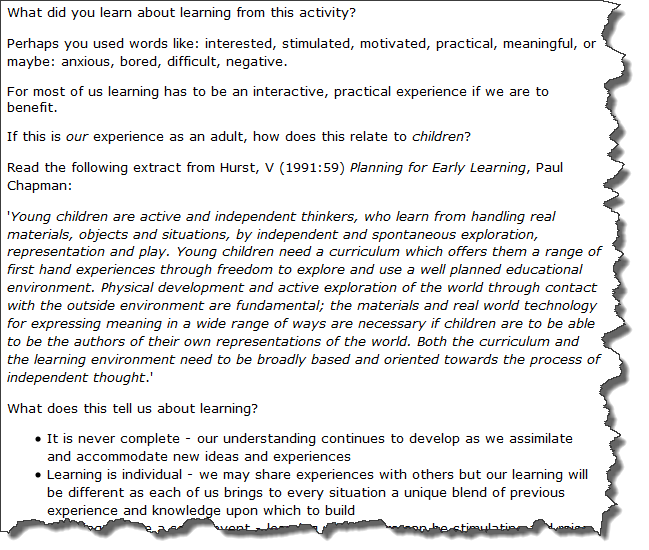 Describe the themes and characteristics of curriculum frameworks in early childhood. Demonstrate an understanding of current curriculum policy, practice and strategies that support an early childhood curriculum. Throughout the duration of the module students have access to a mixture of learning resources and supportive interactive activities. Examples of these can be found in this ‘taster’. 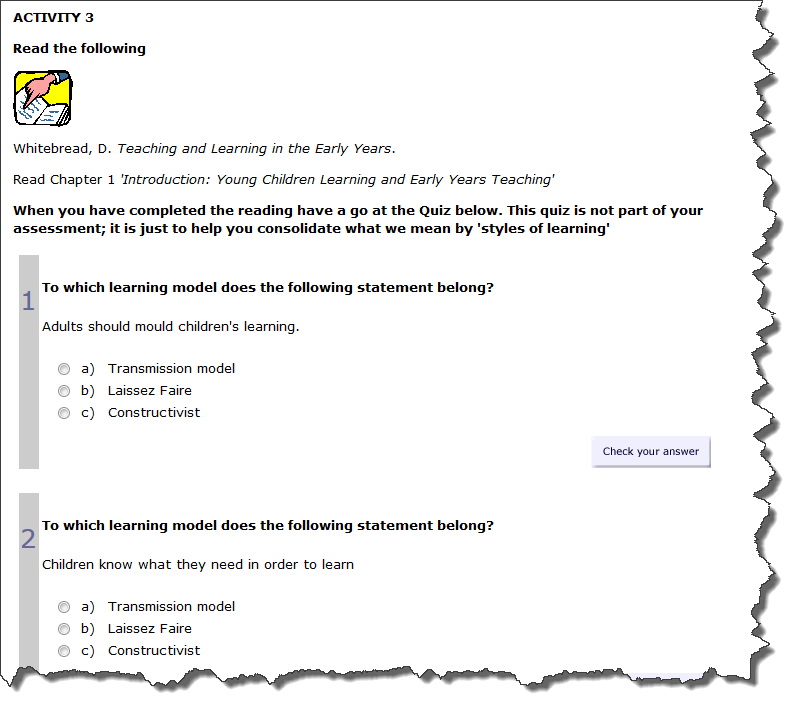 The learning resources offer information related to the module content and encourage students to undertake wider reading and independent research. 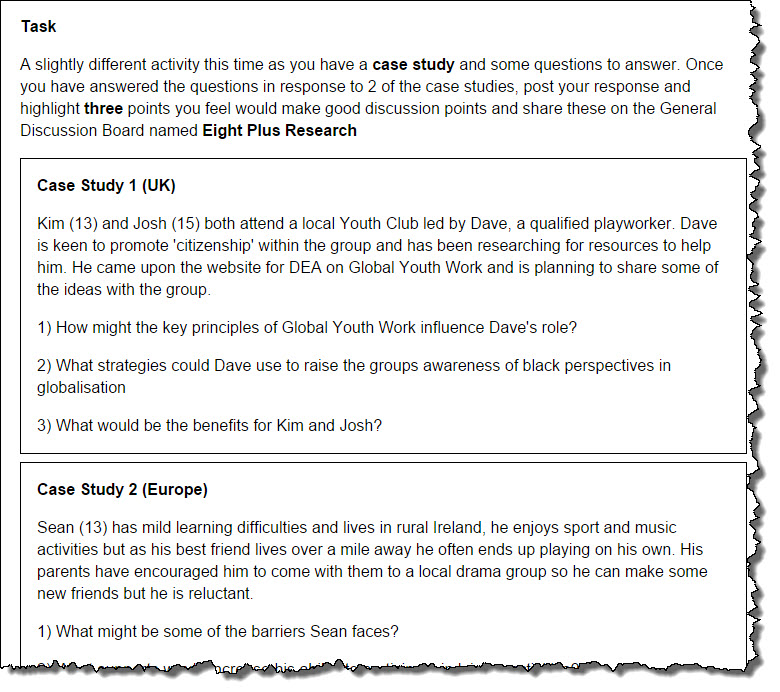 These resources are supported with interactive activities and tutor input via short videos which encourage students to consolidate their learning. 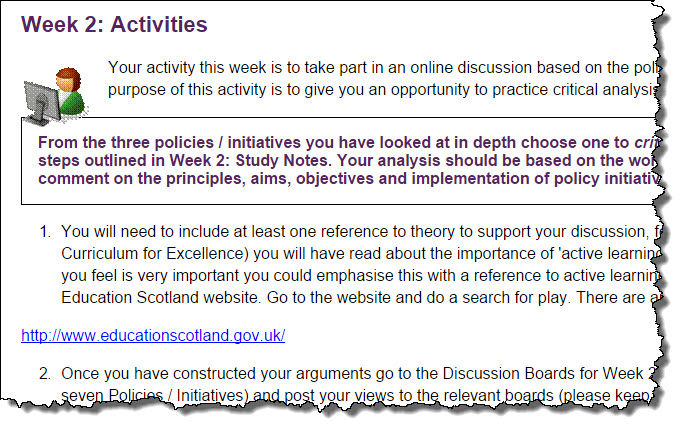 The use of online discussion forums and the creation of wiki pages fosters a reflective environment in which students are able to interact, seek support, share their developing understanding and learn from each other. This module will introduce you to a wide range of issues related to quality provision in Childhood Practice, covering children up to the age of 16. 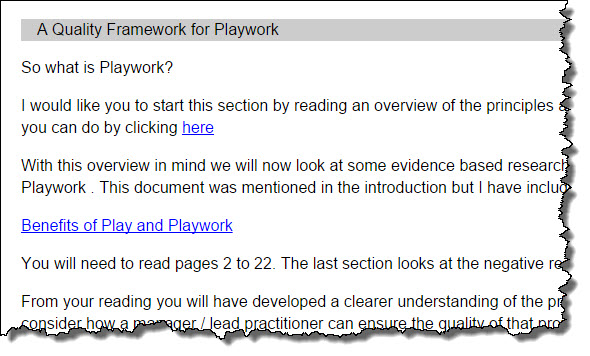 The learning resources examine the concept of quality from the perspectives of play provision within Early Years and Playwork, the requirements of regulatory bodies and the adult’s role in managing Quality Improvement. You will have the opportunity to broaden your knowledge of theory and to deepen your critical understanding of relevant legislation as you are supported to reflect on your own practice within your own workplace setting. Pause and reflect on your own practice and experience. Write down your thoughts as they may help you when you come to write the assessments and they will inform your contributions to the Discussion Board. 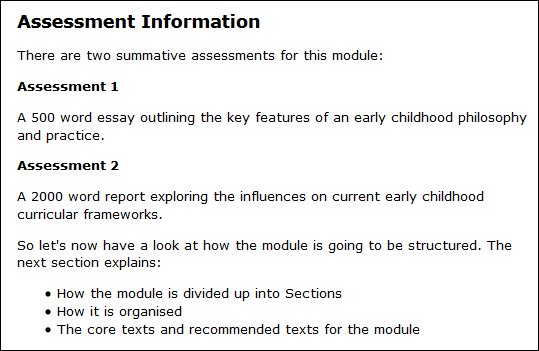 Read some pages/ chapters in one of the books on the Module Reading List. Access websites to research online to find further information. 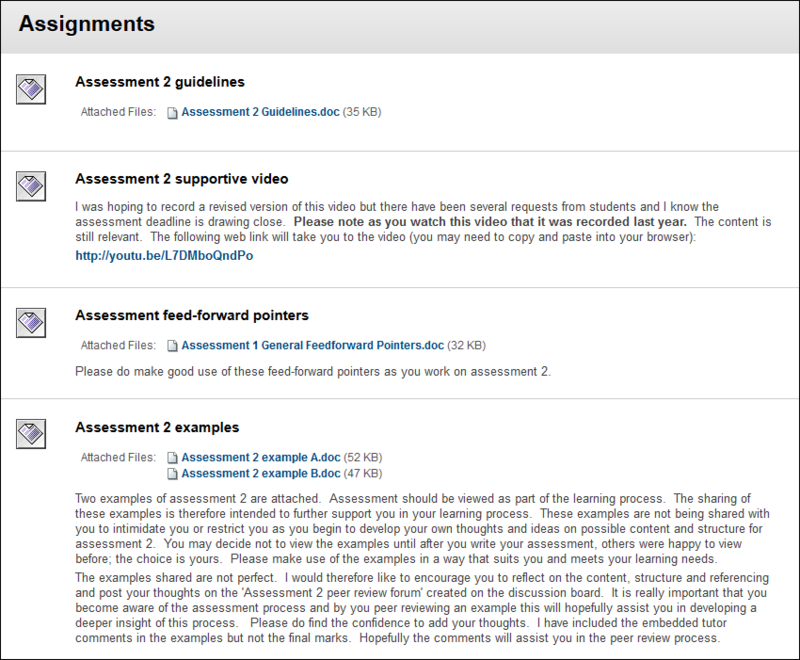 Post something onto the Discussion Board. 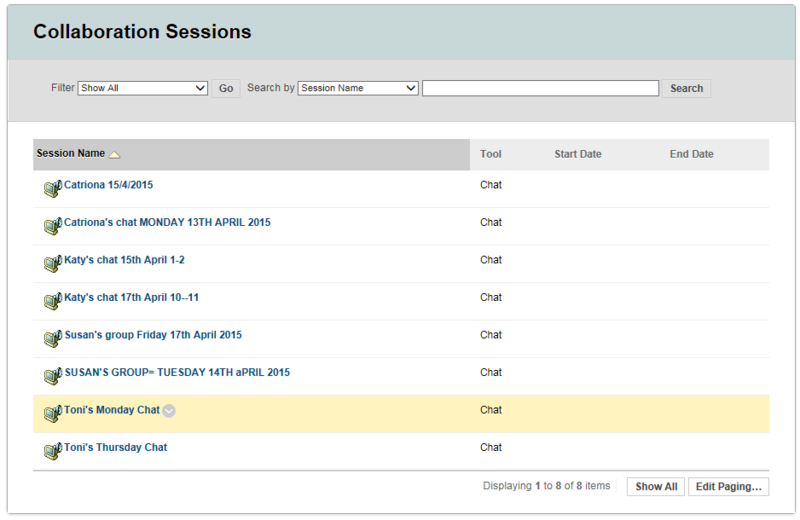 This is an excellent forum for sharing ideas, just as you would in conversation in a real ‘face to face’ classroom. It is designed to be a ‘collaborative learning space’ where you can share what you have learned or ask each other questions in a safe and inclusive place. 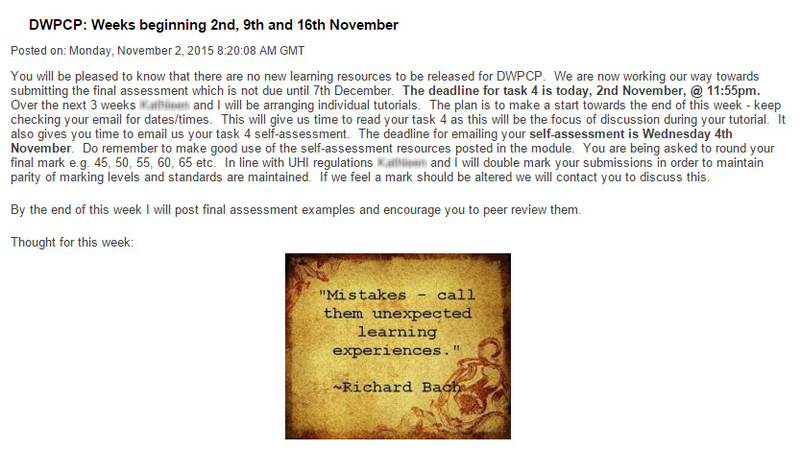 Welcome to the ‘Developing a Workplace Project’ Module. 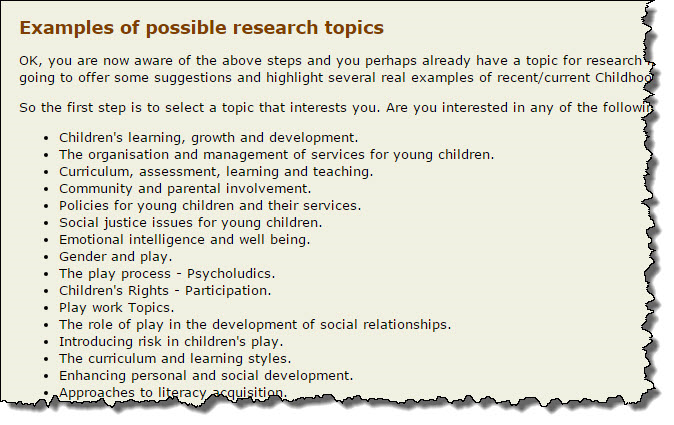 The purpose of the module is to provide students with a solid grounding in research methods and methodologies, with a particular emphasis on developing key skills in relation to the design of meaningful research in childhood practice settings. 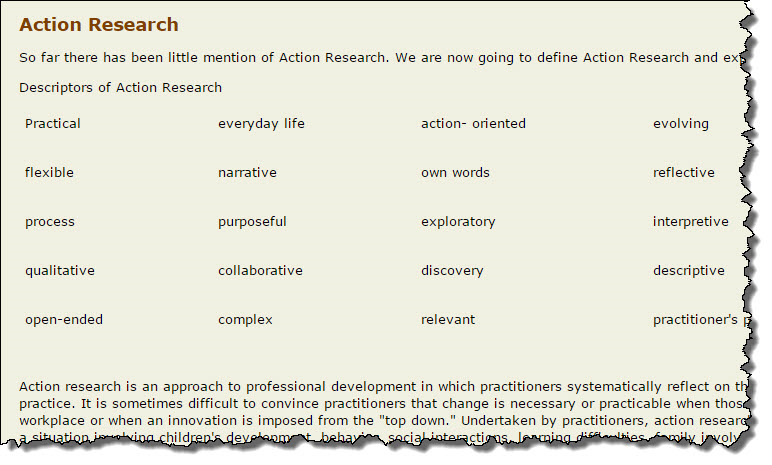 Identify and address real issues in order to develop practice. Identify strategies and action steps which lead to the effective management of innovation and development. 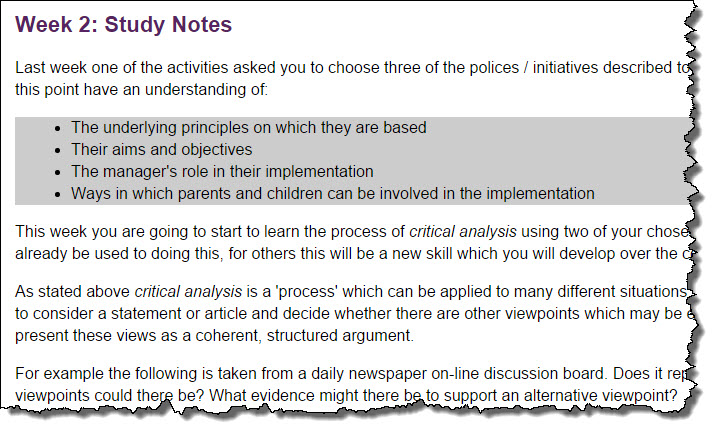 How to gather and analyse evidence in order to judge the effectiveness of practice development. The module provides a structured approach to the developing plan for a workplace project which will be undertaken and implemented in the subsequent module Managing a Workplace Project. 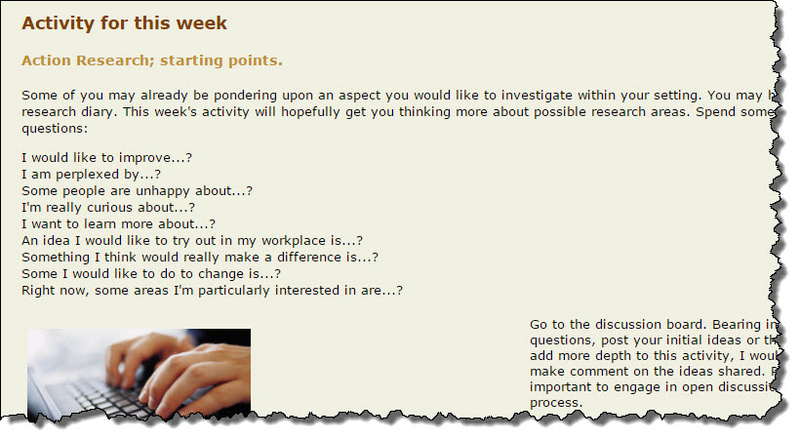 ‘The PAT is your professional point of contact throughout your academic journey. Your PAT acts as a liaison between you and the university for all academic matters. ‘As a pat, my role changes throughout the year. 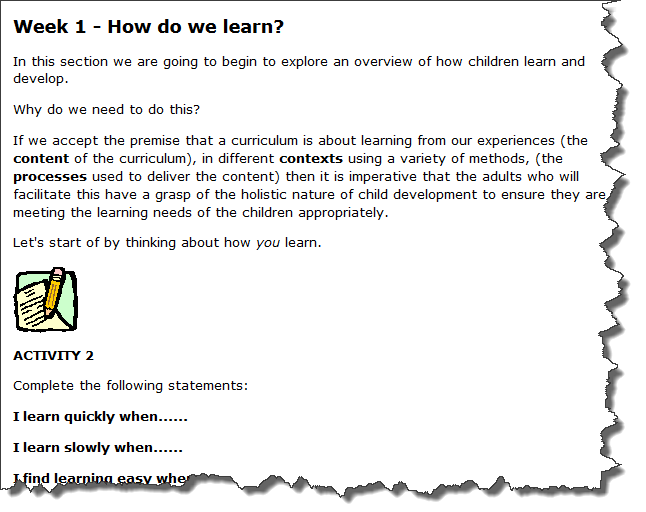 Initially with students settling down and working hard to understand how the online learning environment works, my role is to provide support and guidance to ensure that all students are understanding how it all works. 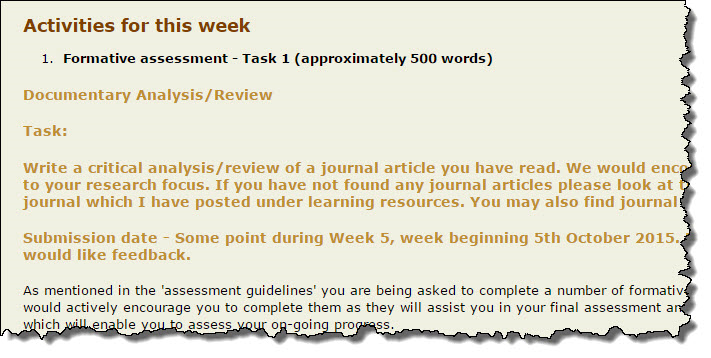 Moving through the weeks, I help with academic support such as assessment structures, referencing, accessing resources such as the online library and general help with navigation through Blackboard. 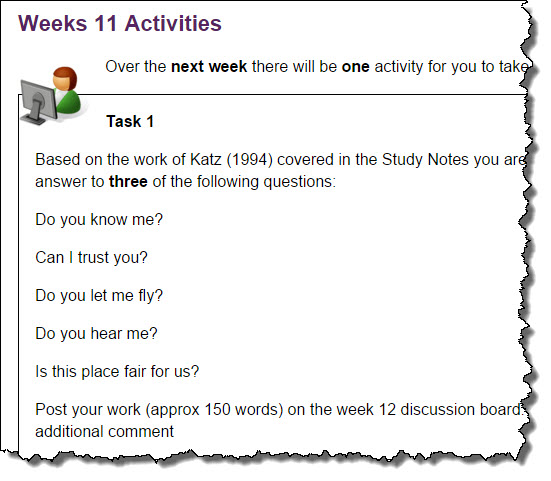 Help with study timetables and realistic goals and targets are set to help students focus. At the more stressful times when assessments are due or exams are being sat, I provide support and encouragement (and sweets and cakes!). ‘Being a PAT is one of the best parts of my job as I get to know my students from induction and watch them progress through the course. I like to build an open and honest relationships with my students so they feel they can come to me when times are hard and know they will be listened too and signposted and guided to the people and resources that will help them with the issues they experience. 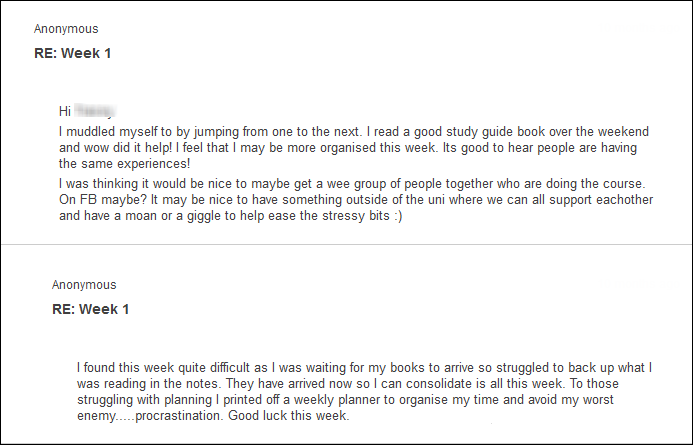 I do all the usual administrative parts around enrolment and module selection and even the wee nudges about library books being overdue but I also help them to get to know each other in my groups to they can have study buddies and peer support and just to connect them to each other as well as the course as students of UHI. I do provide a listening ear most especially around assessment times and can get as many as 40 texts in a day when the class have assessments looming all of which just need the acknowledgement that assessments are stressful and that bit of reassurance that yes they can do it. I had a young lady join my group and her family cultural background was that women did not go into Higher Education. Within weeks her father insisted she leave the course and work in the family shop and help look after her younger brother so she came and told me and we activated a withdrawal as she felt she had no choice. But, she did have a dream of achieving a degree so came back to see me almost 1 year later and we sat down and discussed how she could do this, part time at first and we would review after each level and then her final year full time. We met regularly just so she could talk and get some reassurance. Times were very challenging and this made her ill but we claimed mitigation and got her through each level. When her financial situation deteriorated to the extent she was having to support her brother I took her to guidance and they helped her apply for a student loan and she found part time employment and she just took one step at a time and we overcame each hurdle together. ‘It seems daunting at first, doing everything on the computer, perhaps not seeing other students or having face-to-face contact. 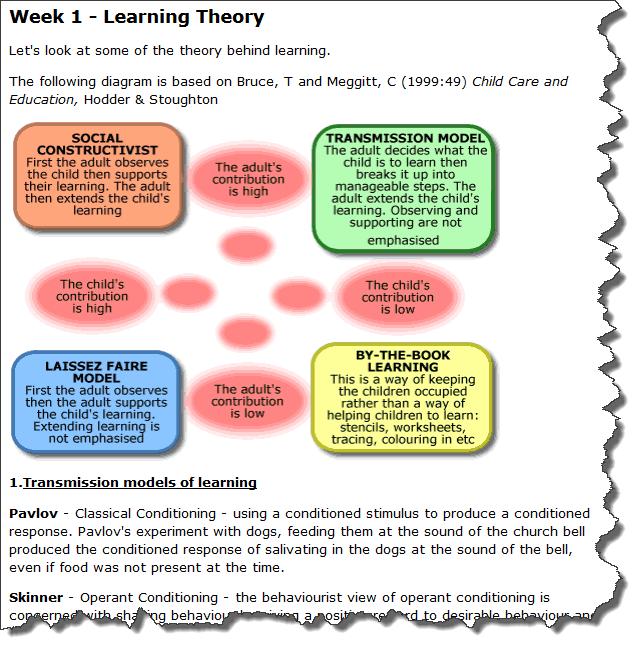 It starts to fit very quickly - managing your learning around when it suits your lifestyle, family or work. You really can get weekly reading and tasks done by devoting a full day to studying or spreading it out over a few nights. I now can't imagine doing it any other way - the flexibility it offers has been a major factor in me seeing the course through - and the fact you get the school holidays! 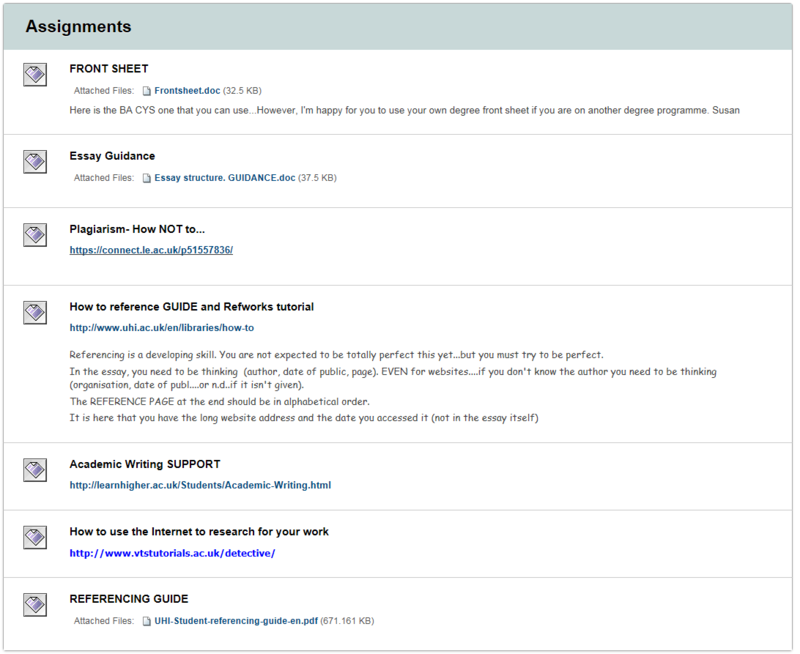 Your module tutor will use the VLE to offer you guidance about your assignments.